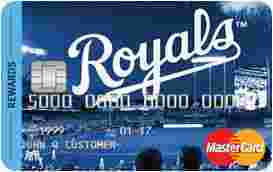 Commerce Bank Kansas City Royals with Rewards is typically available to those with good credit scores (650 or greater). Receive four (4) ticket vouchers to a 2017 Royals regular season home game when you make your first purchase. Earn 2% & 3% Cash Back for purchases in select categories.